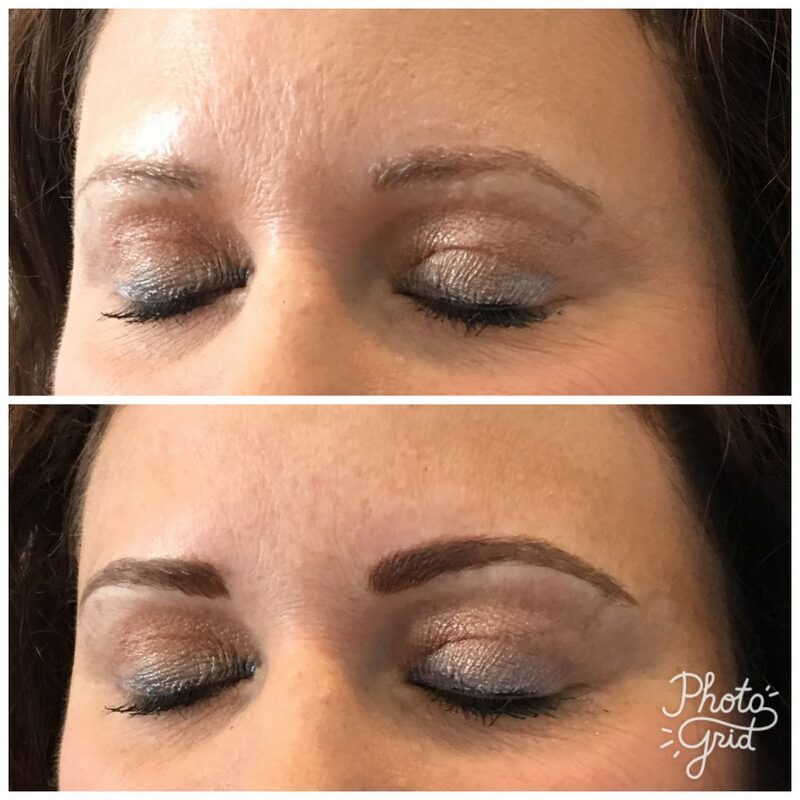 It is often referred to as eyebrow embroidery. 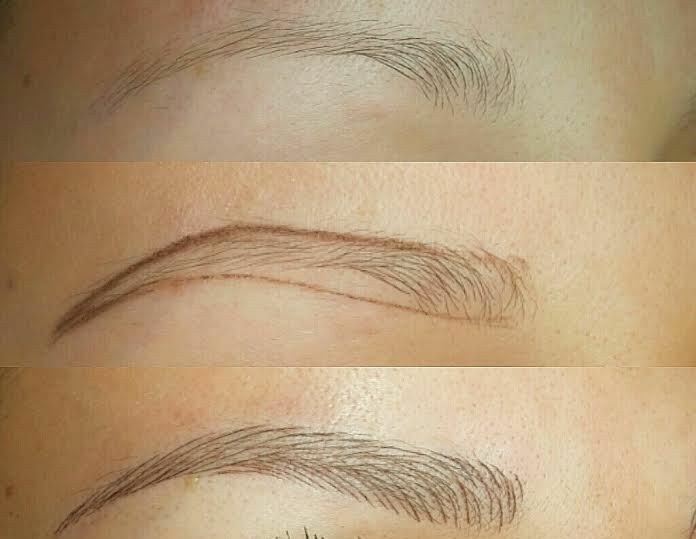 Hair like strokes are drawn onto the brows with a hand tool instead of machine. 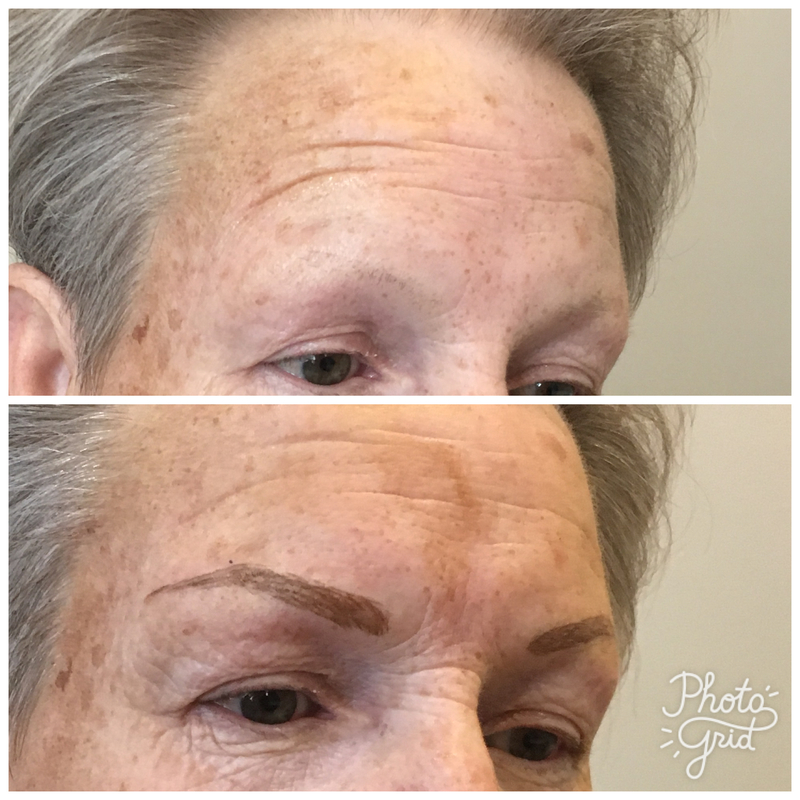 The pigments are deposited into the upper layer of the dermis, making it shallower than the traditional permanent makeup technique. 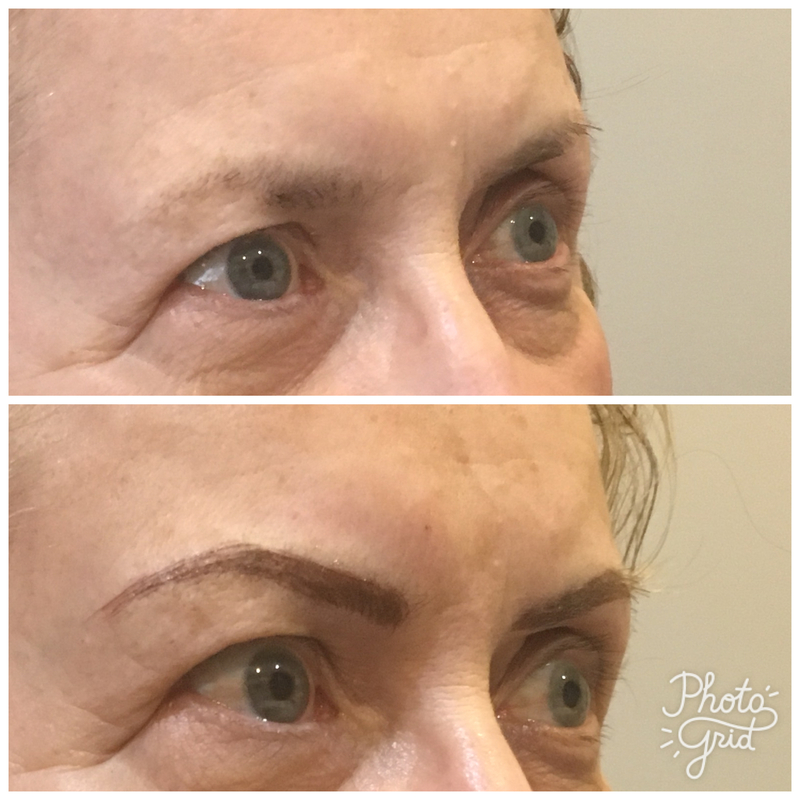 The results are more natural looking, hair like strokes that complement the existing hair. 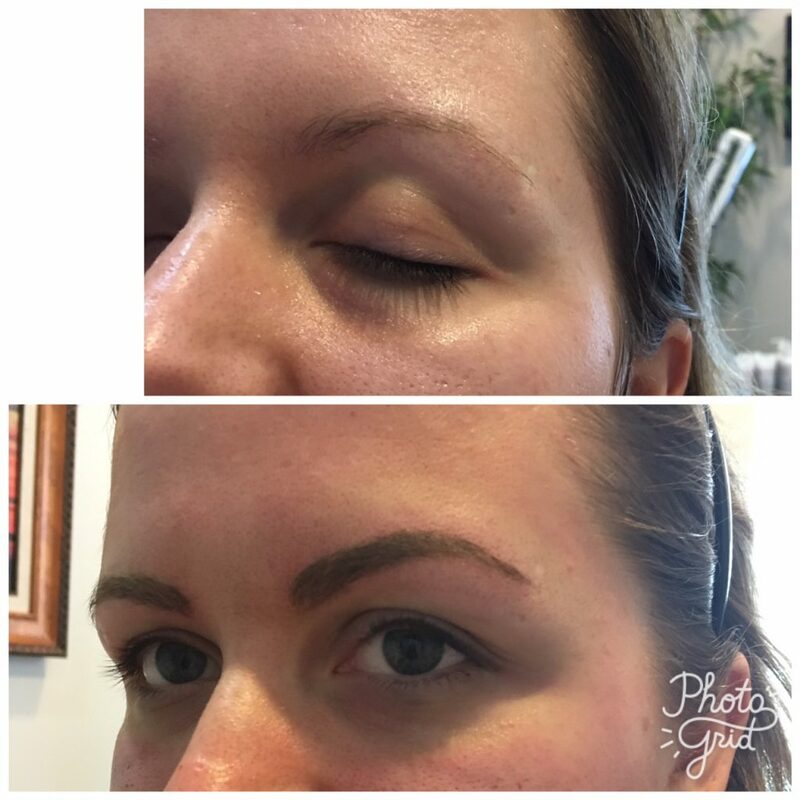 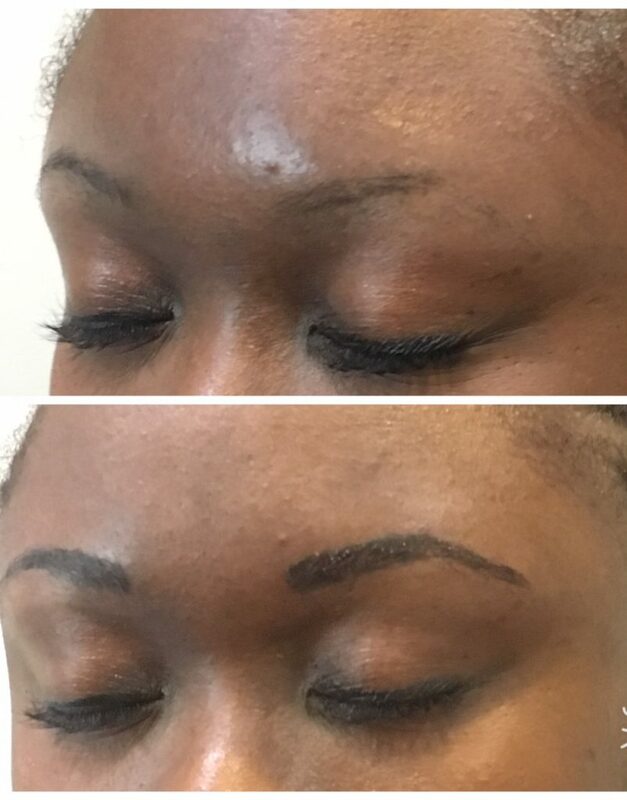 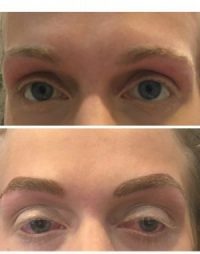 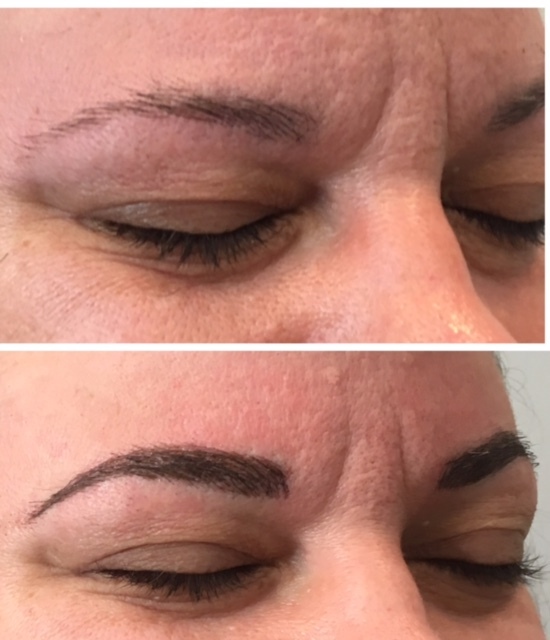 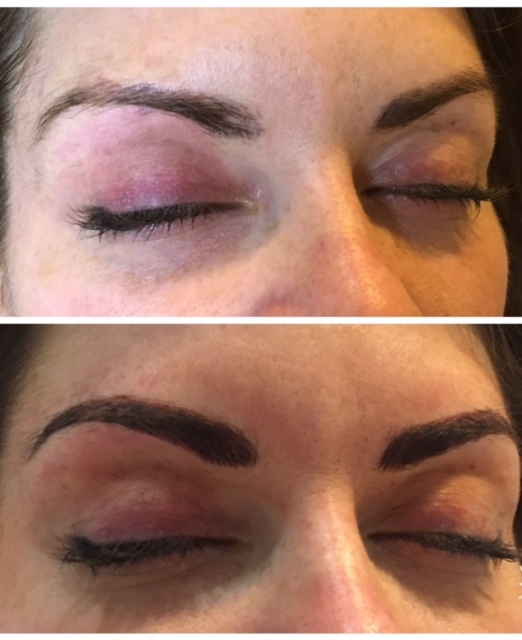 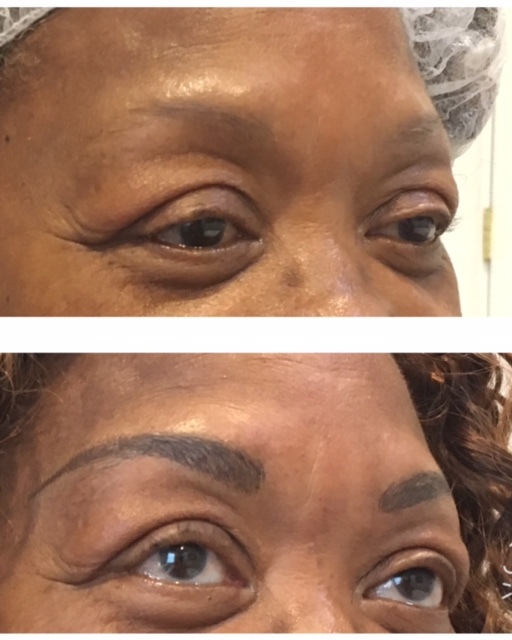 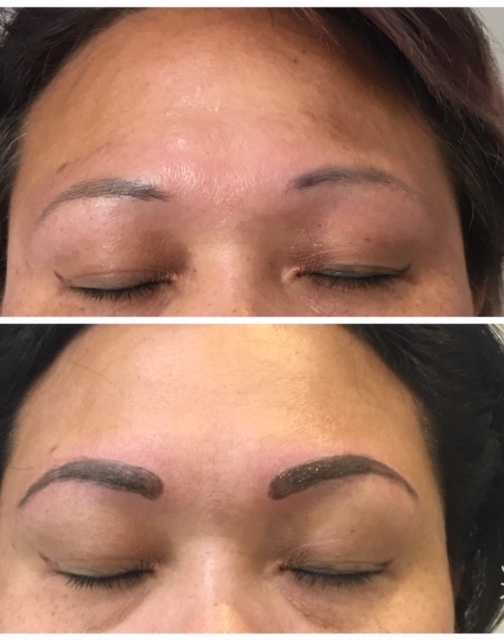 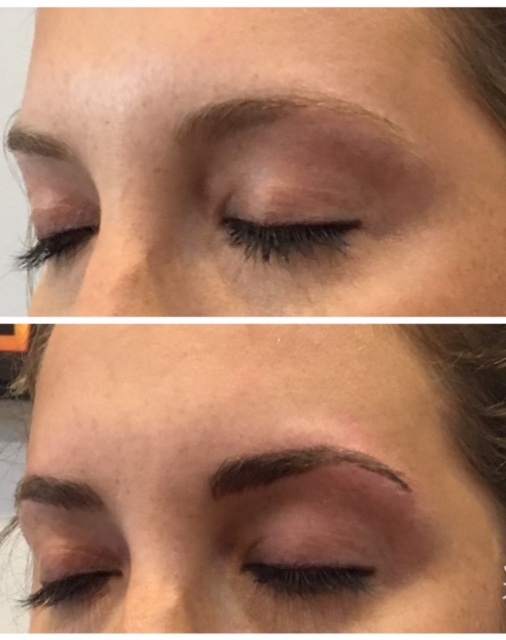 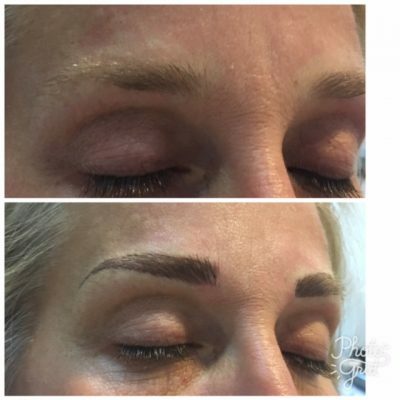 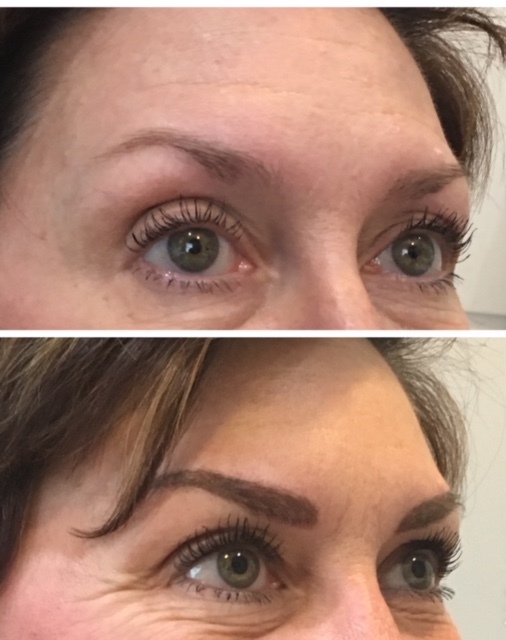 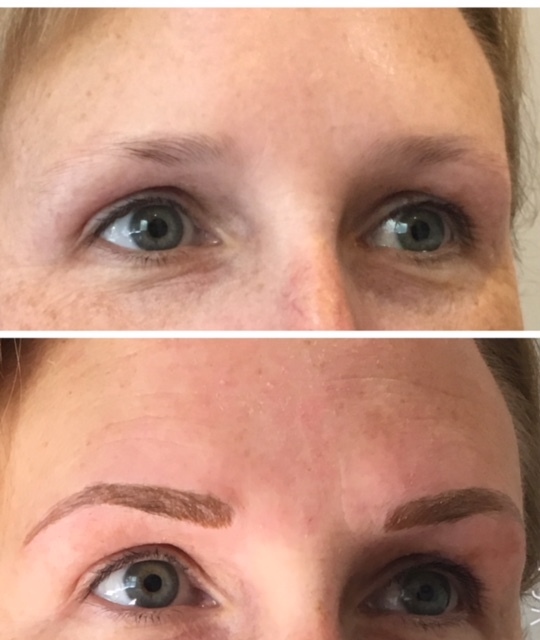 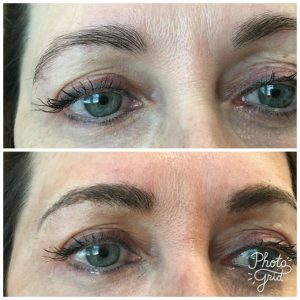 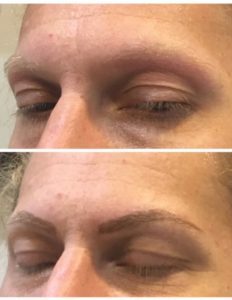 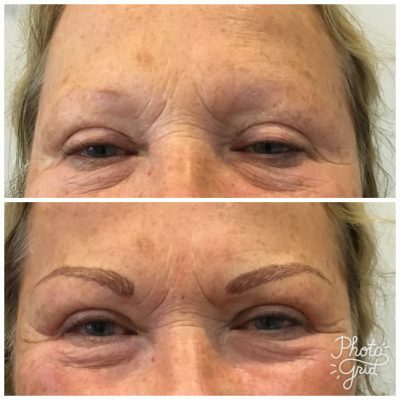 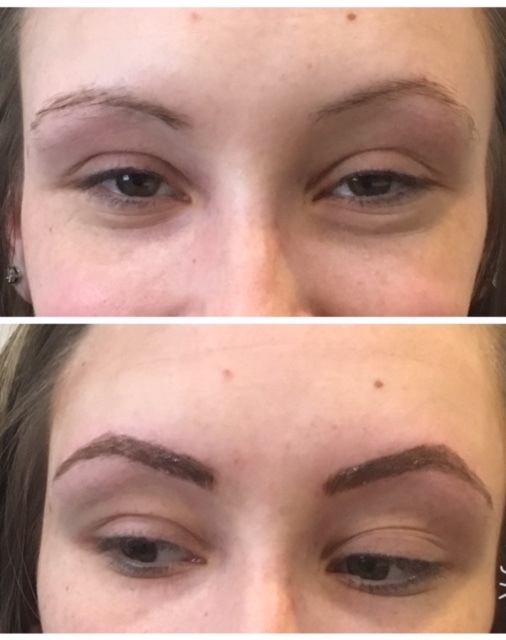 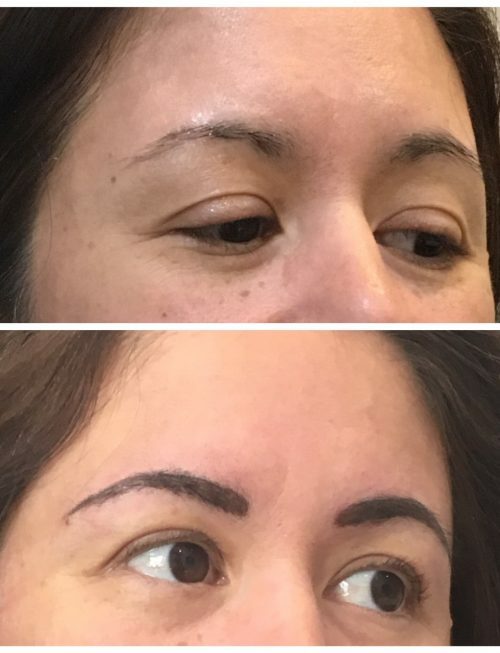 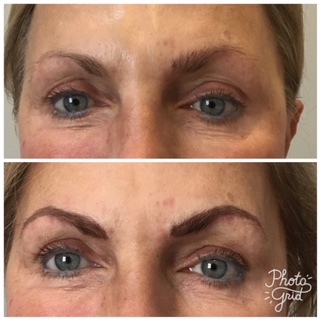 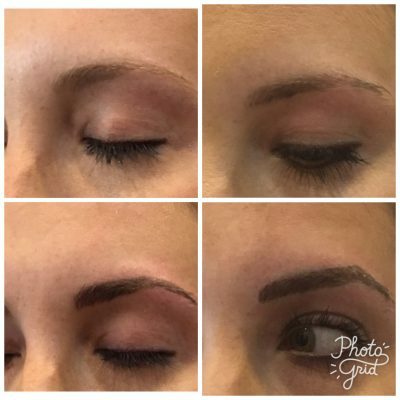 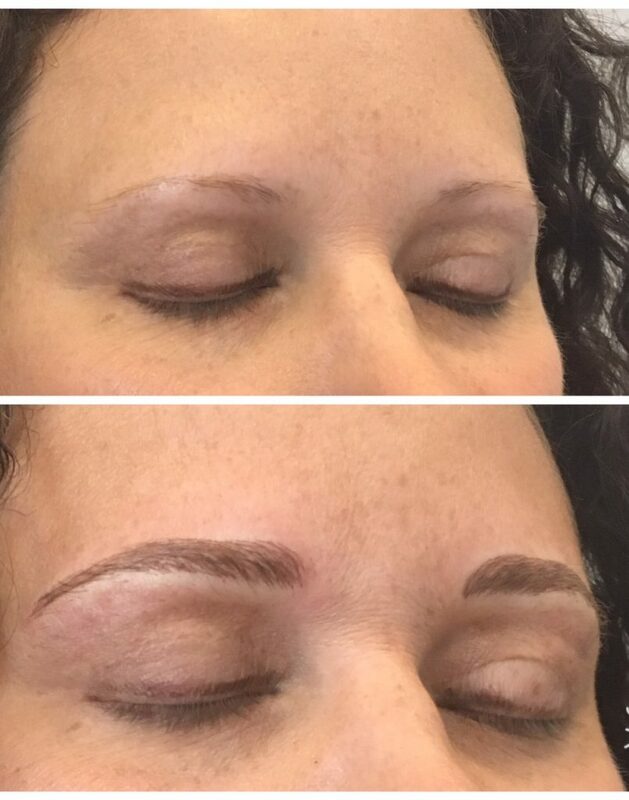 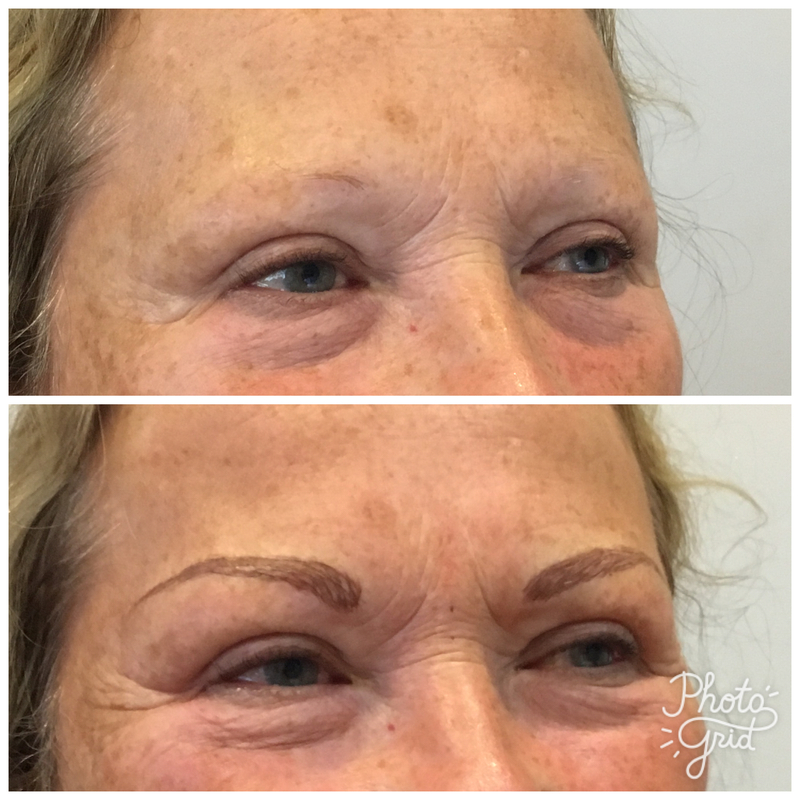 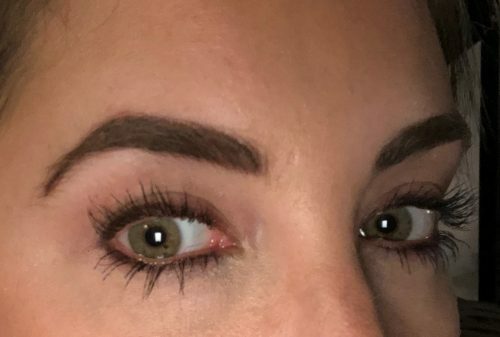 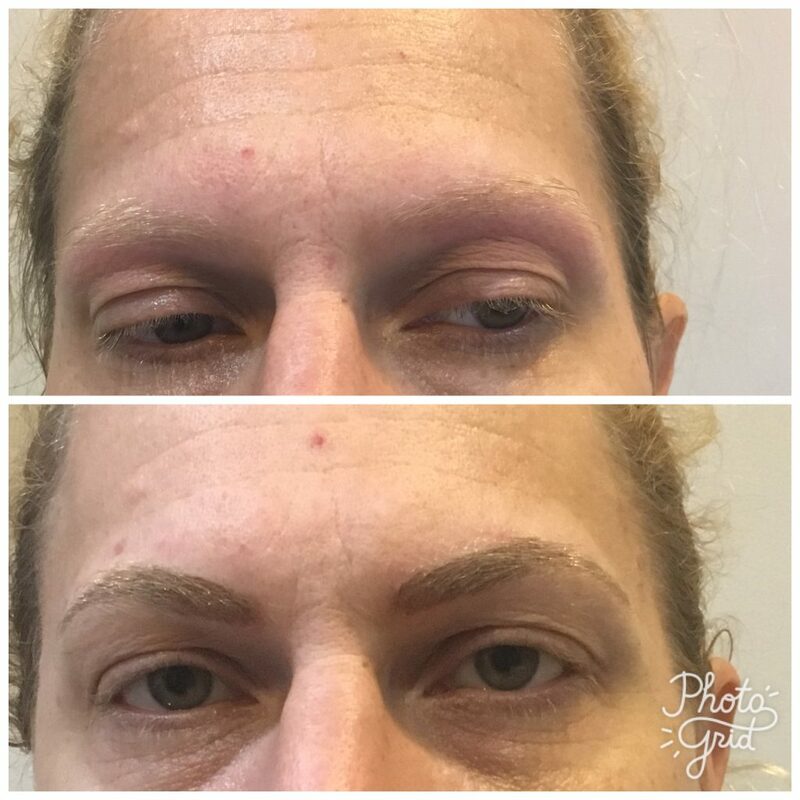 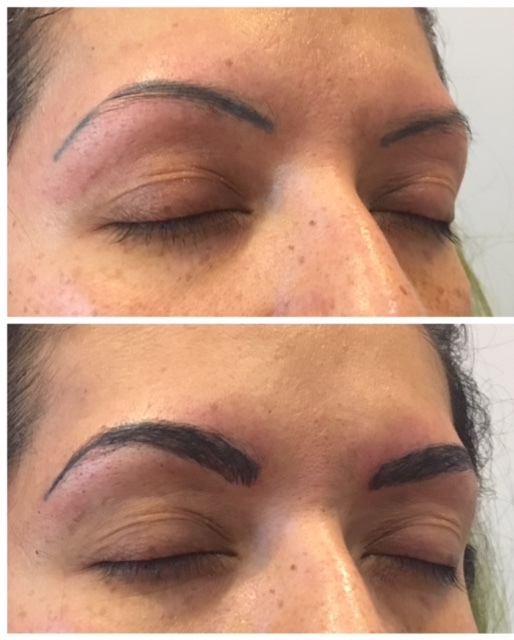 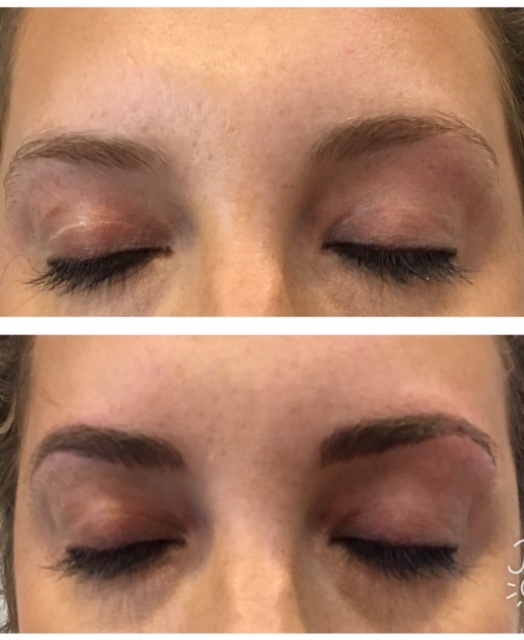 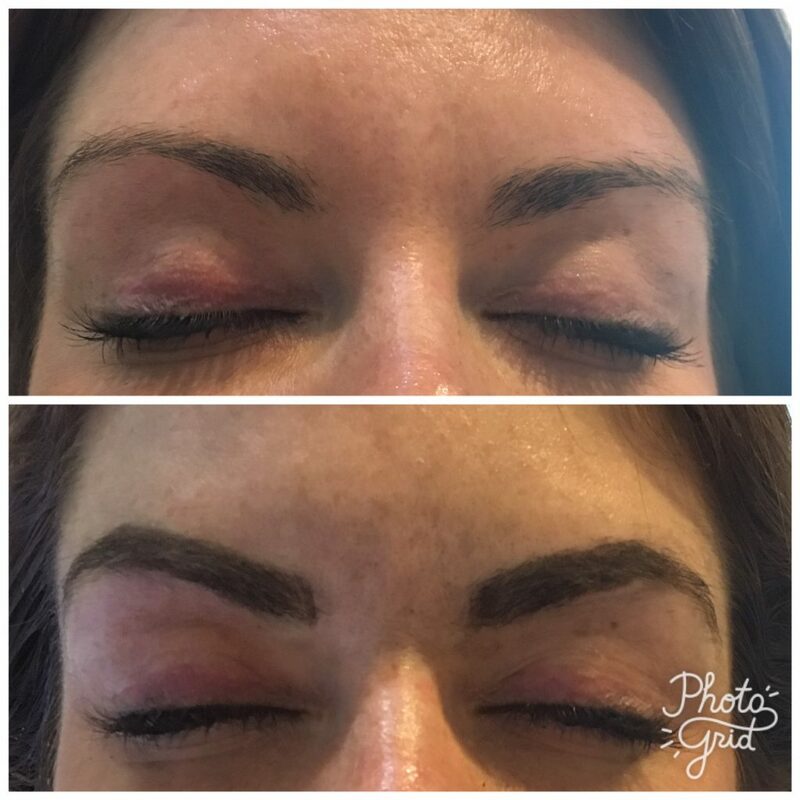 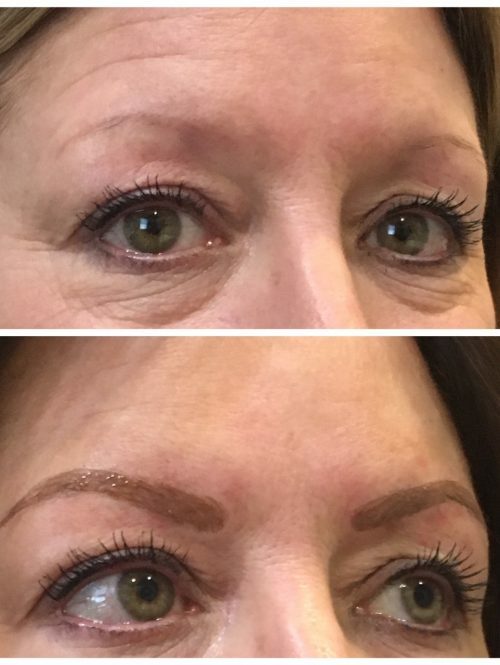 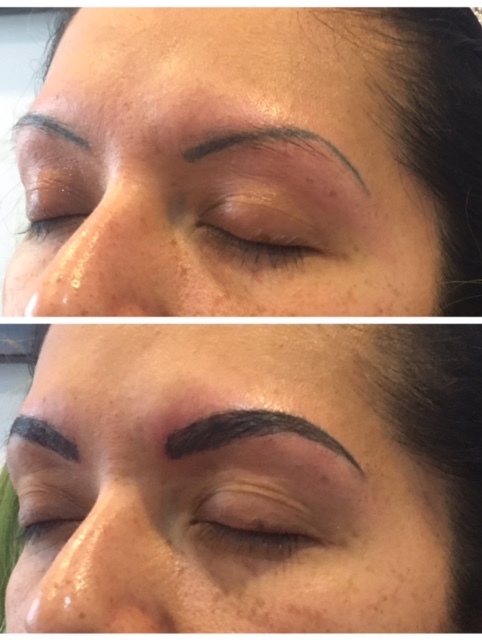 This method is ideal for those who are looking to change up their eyebrow shape, eliminate the need to “fill in” to make their brows fuller, or for those who are suffering from hair loss conditions. Contraindications include: skin disease, epilepsy, heart disease, severe eczema, someone who scars easily, pregnant and breast feeding, or any auto-immune related illness. 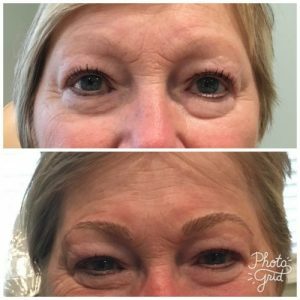 We utilize consultations as an opportunity to answer questions. 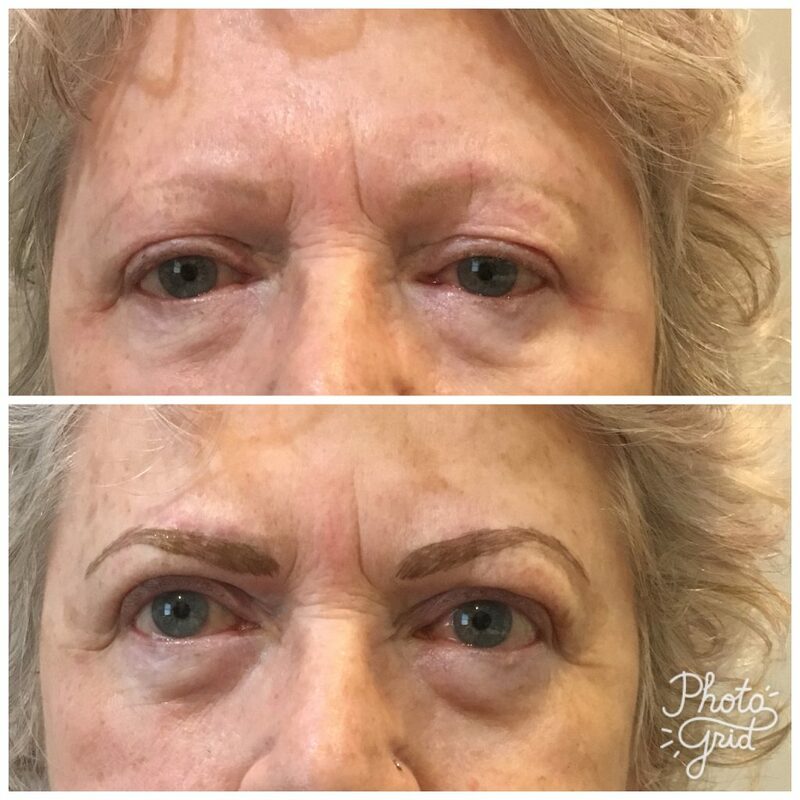 The consultation takes 30 minutes. 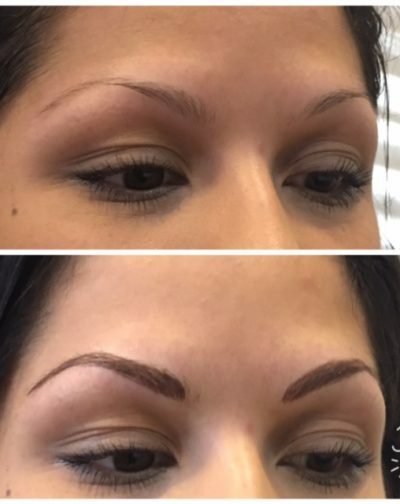 During this time we will discuss the procedure and the aftercare to determine the best timing for you. 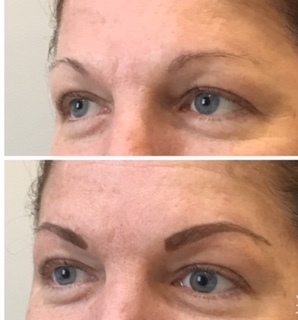 We will prescribe you topical lidocaine for the procedure at this visit. 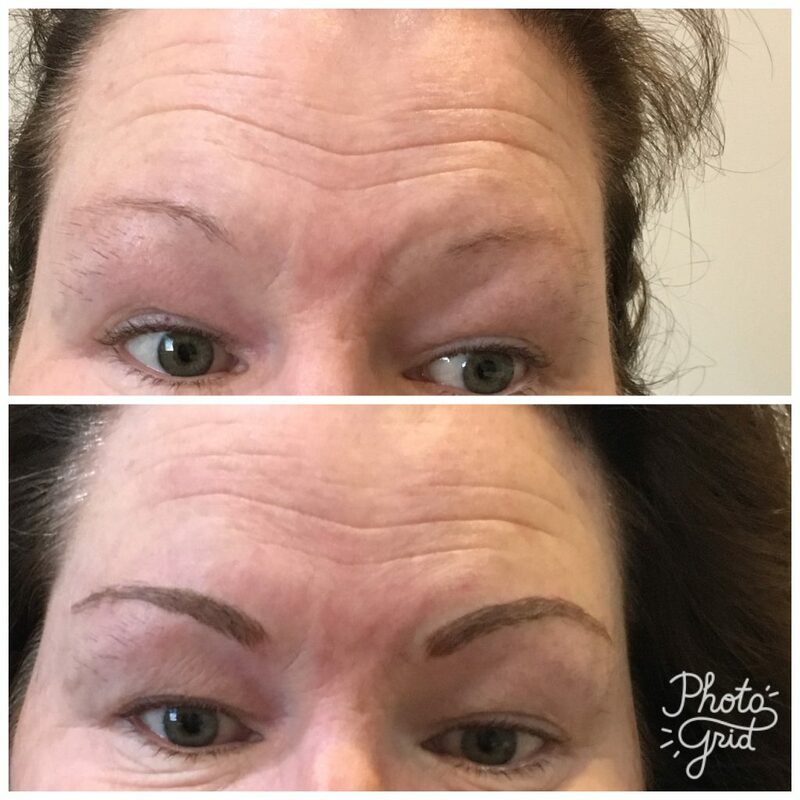 I ask my clients to stop taking blood thinners, painkillers, aspirin, vitamin e and fish oil supplements 5-7 days before the procedure. Also, if they were to wax or thread the brows, they should do it 3 days before they come in. 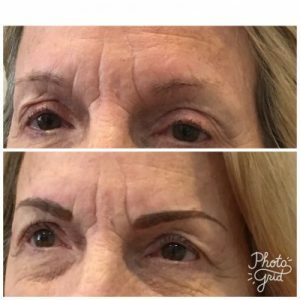 You will apply the lidocaine prescription to your brows 90 minutes before arriving for the procedure. The procedure may take up to 2 hours. 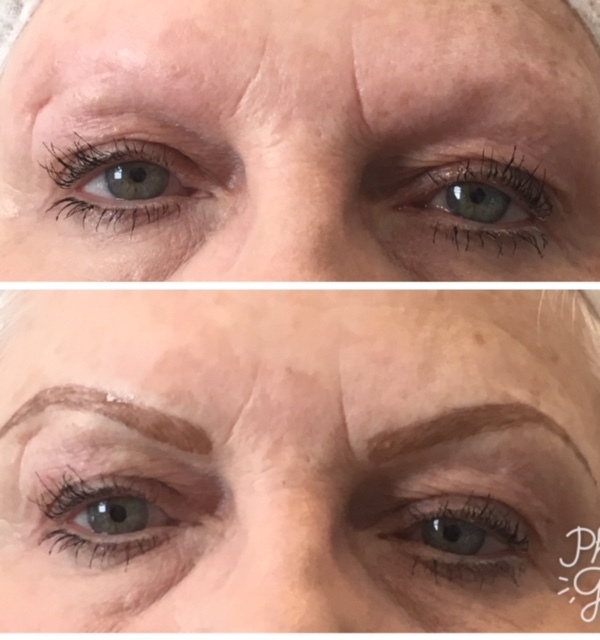 The 45 minutes or so will be drawing the brow design utilizing our precise measurement tools and taking pictures to ensure you like the style and thickness before we begin. 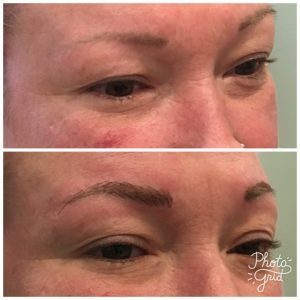 The discomfort level is minimal since you will have applied lidocaine prior to your appointment. 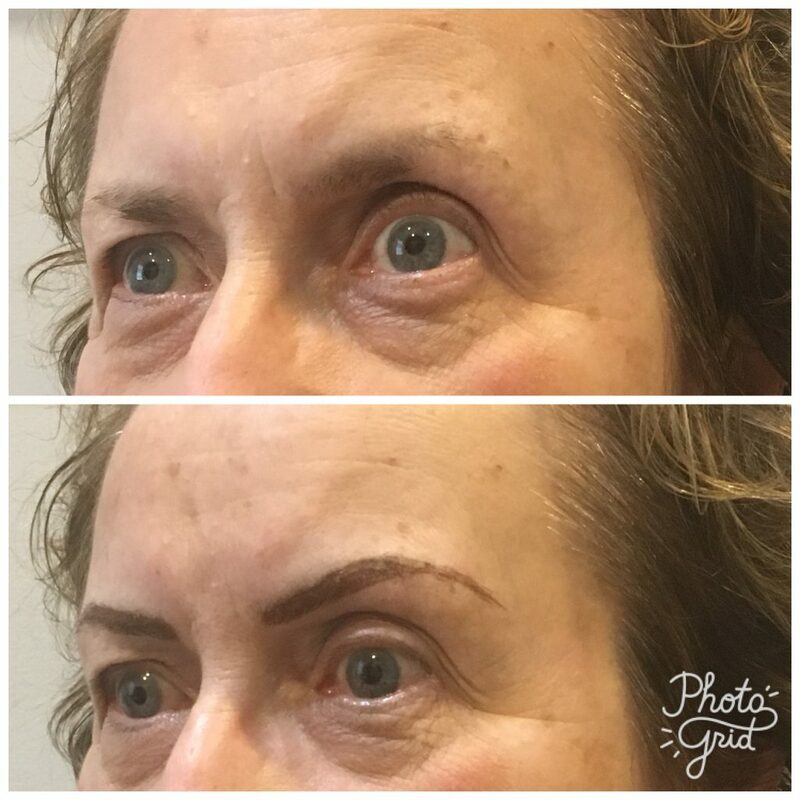 We also administer more during the procedure. It is not uncommon to lose up to 25-40% of the color on the first application. 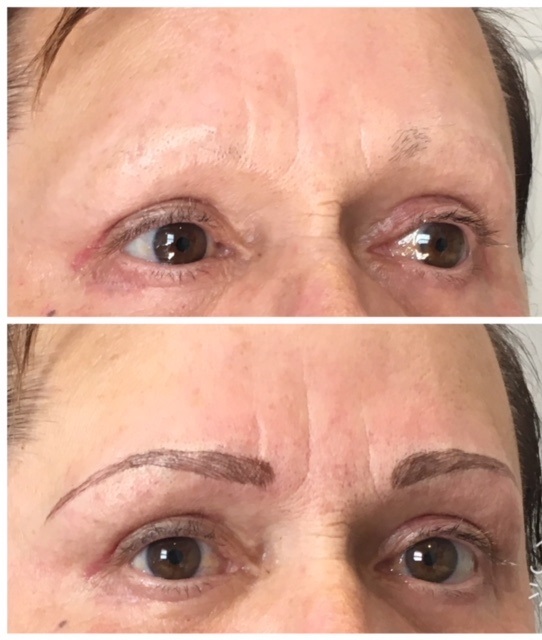 The second treatment will remedy this. 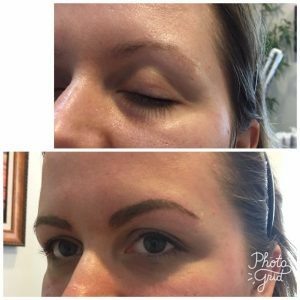 The healing process typically takes about 14 days. During this time, it is important to follow your post care instructions, not to wet the brows, and keep them lubricated for at least two weeks. 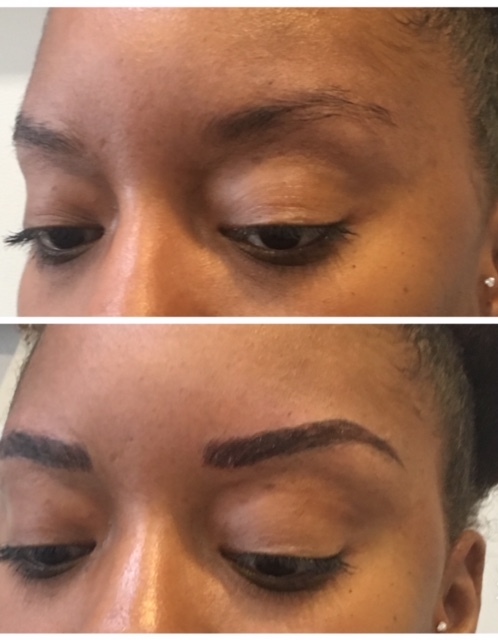 Avoid swimming pools, lake water, saunas and intense workouts where sweat will drip on the brows. 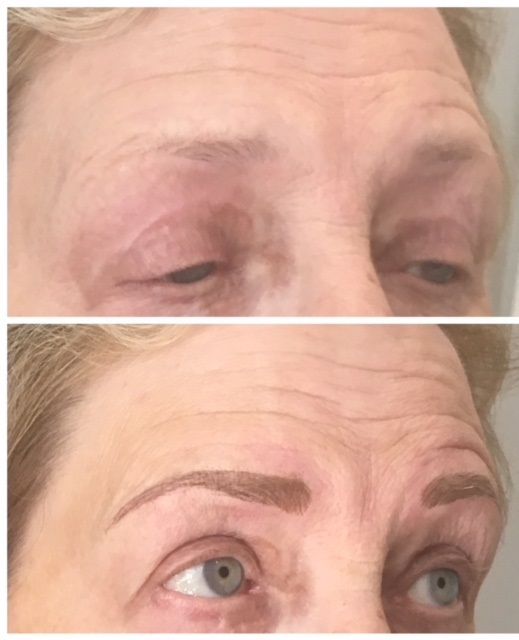 It is especially important to block them from the sun until the skin heals (hats do this perfectly! ).